Milano was my third stop on an eight city, five week, trip around Italy. As a digital nomad, I not only enjoy balancing my time traveling between heavy touring and light touring – but it also becomes a necessity as, after a few days without email connectivity, my work starts to pile up. 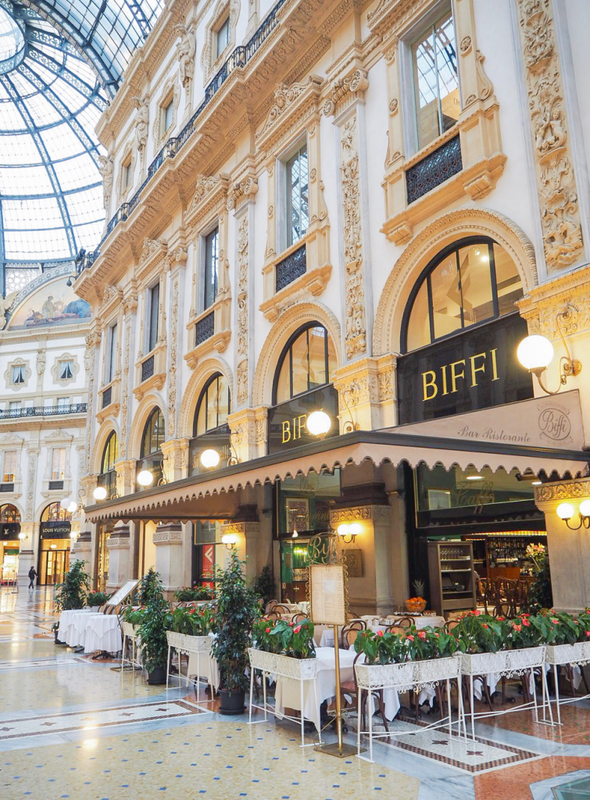 Milan was the perfect place to take a break from non-stop exploration and live like a local. 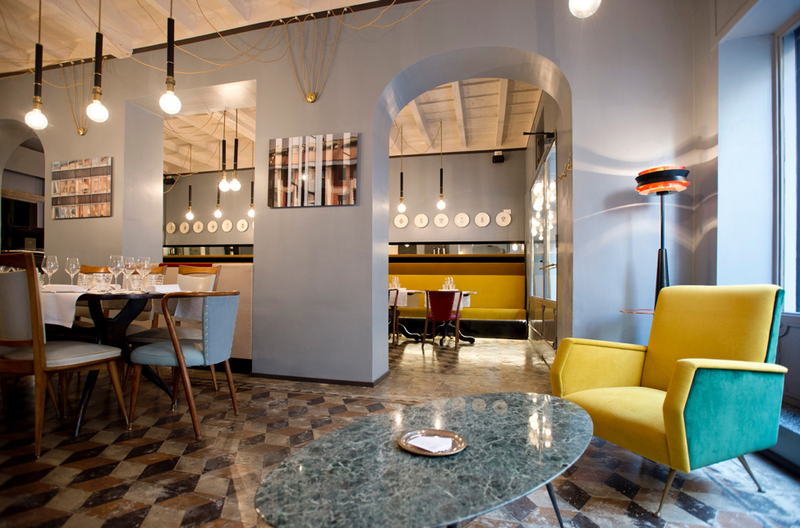 I opted to stay with Brera Apartments in Milan for my three nights in the fashion capital of Italy. 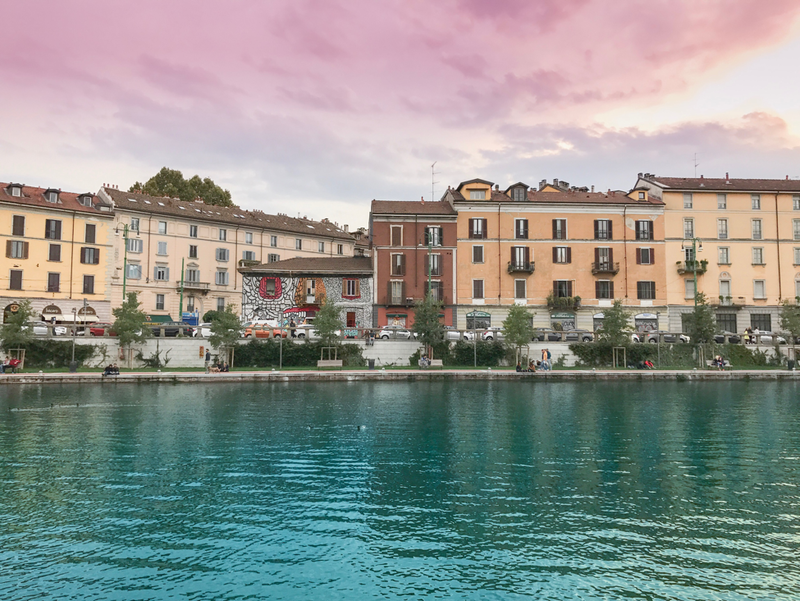 There are so many reasons to book with Brera apartments but the main selling points to me were the concierge service as well as the décor and locations of the apartments. A concierge service is, typically, a selling point for a hotel but Brera Apartments provides the amenities of a hotel (reception and concierge) with the convenience and comforts of an apartment – all in great locations around the city and all uniquely and chicly styled and decorated. Not to confuse a physical reception/concierge as you may find in a hotel, Brera offers virtual reception/concierge and more of a ‘welcome service’. 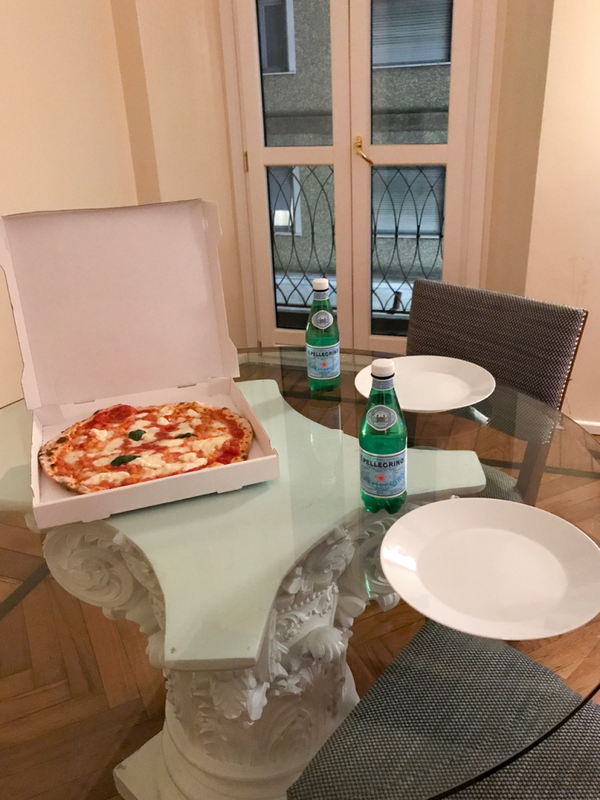 The way Brera provides these services conveniently offers the comforts and privacy that one will look for in an apartment stay with the advice and assistance that one would expect from a hotel. 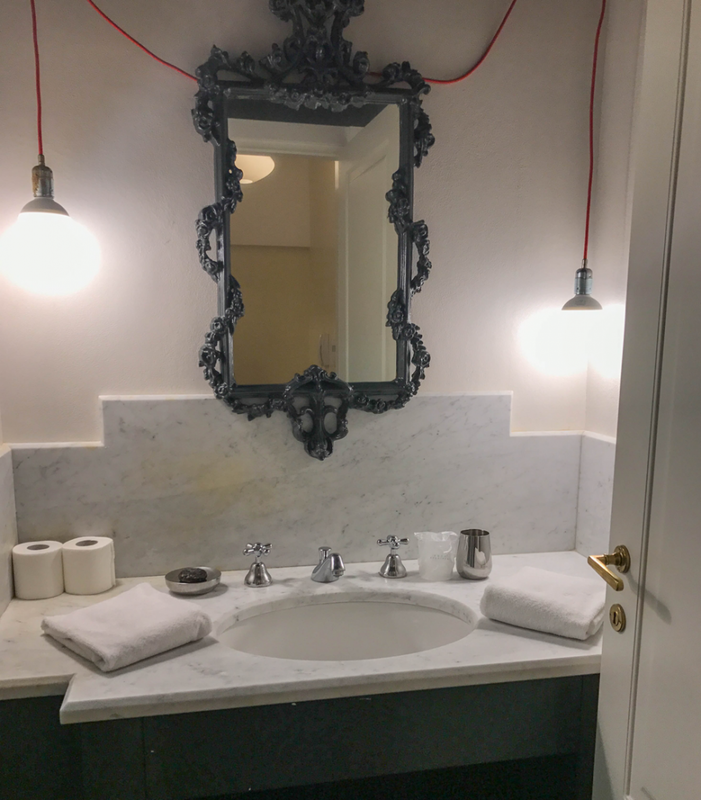 I especially loved the look of the bathroom in the Pontaccio apartment, the white marble and black accents were so pretty! Brera apartments’ concierge arranged for my pickup by a chauffeur service who brought me right to the front door of my home in Milan. Upon check-in, I was greeted by a smiling face who gave me the run-down of the building where the Pontaccio apartment I was staying in was located. The check-in process was a breeze, I was given a short tour of the building, how to use the elevator and the appliances in the apartment (the stovetop and oven in the kitchenette) as well as a mini-tour of the welcome kit. 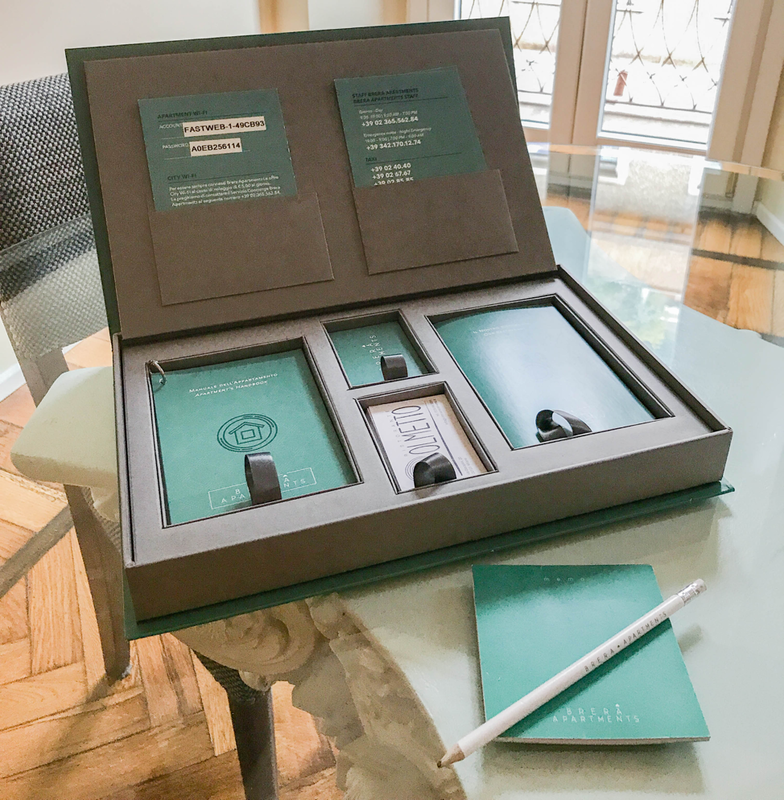 The welcome kit housed the Wi-Fi information, instructions and information about the apartment, city maps, cards with the concierge number as well as the emergency contact information for after hours and information on the restaurant Olmetto – where you receive a 10% discount as a Brera guest! The welcome kit! Home to everything you need to know about the apartment and the city. The Pontaccio apartment came equipped with a Nespresso machine, coffee pods, tea, sugar and every kitchen necessity you’d need to make breakfast, lunch, or dinner. Since I was staying in Milan – like a local, I decided to find a local market to buy a few things to prepare some meals in the apartment. Just a short five-minute walk from the Pontaccio apartment was a market where I was able to acquire eggs, tomatoes, milk, and bananas. 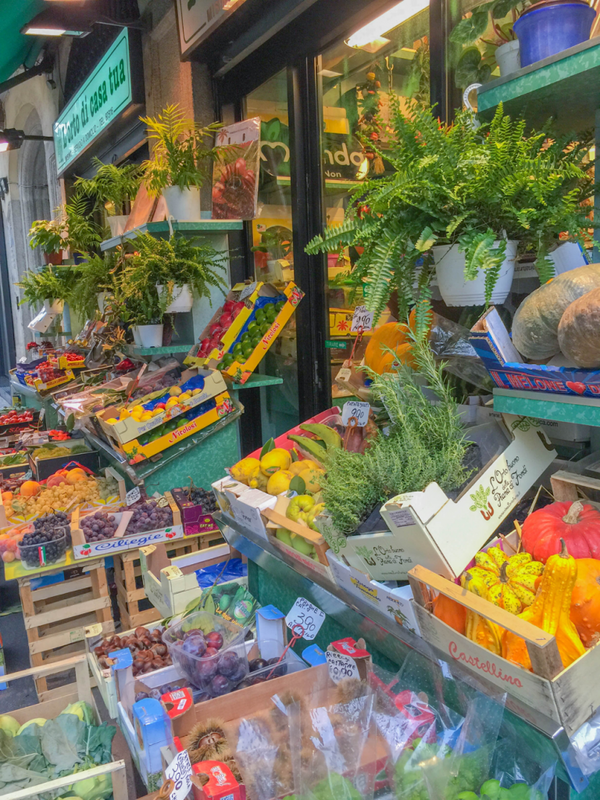 Remember, you’re living like a local here in Milan so don’t pick the produce up yourself! A lot of the local markets aren’t self-service and the employees will assist you with your produce selection. There’s something about the pops of color of the produce markets in Italy that’s special. 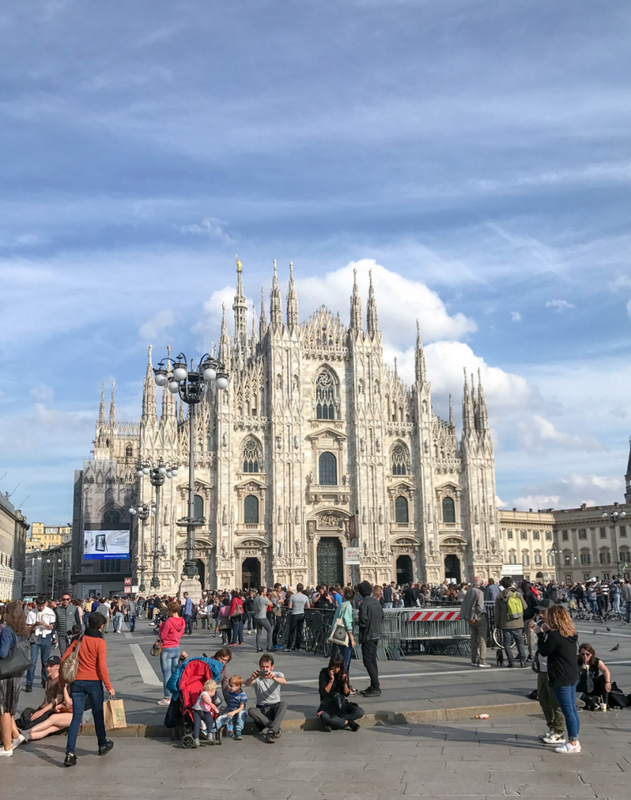 No local Milanese man or woman would find themselves around the Duomo mid-day, amongst all the tourists, so – why should you?! Wake up early to catch the morning light, without any crowds, at the Duomo. I loved having the Duomo square and the Galleria Vittorio practically all to myself and it also made for some amazing photo ops. While there are still some people in the Duomo square in the early morning, these photo ops wouldn’t be possible at any other time of the day. A shot like this, with no people, at Galleria Vittorio would be impossible during the day. From Nutella muffins to fruit tarts and everything else delicious in between – Italian breakfasts are known for their sweetness. Since you’re up early to enjoy the Duomo square you may as well head to Ca’ppucino (about a five-minute walk away) for some breakfast! 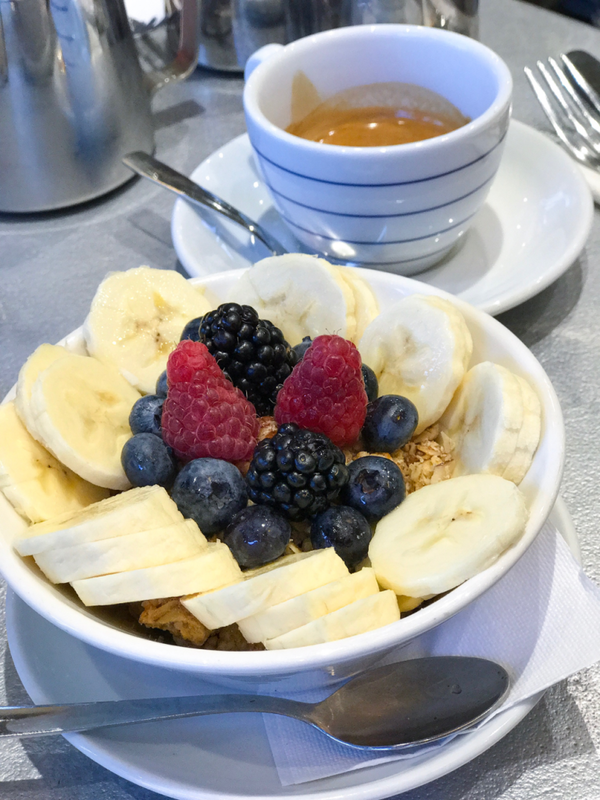 After all the pasta, pizza and cheese I had been indulging in, I was excited for granola topped with fresh fruit. One of the biggest selling points of saying in Brera Apartments is the fast, secure Wi-Fi. I loved not having to worry about the other users connected to the Wi-Fi (a concern I often have while at hotels) as well as how fast the Wi-Fi was! 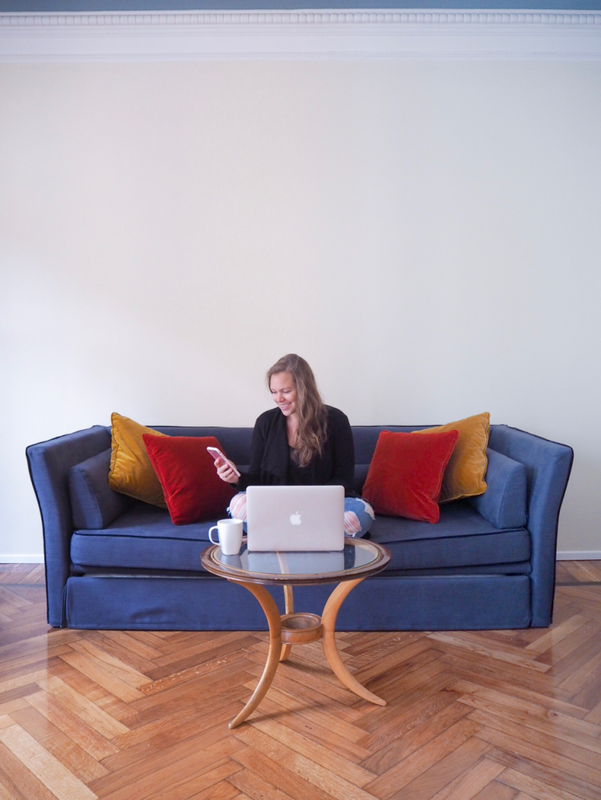 The comfy couch in the Pontaccio apartment was the perfect place to sit back, relax, and catch up on some emails and work. The Brera area in Milan is known for its artsy-boho vibes and subsequently is the perfect place to wander and simply get lost. Fortunately for me, the Pontaccio apartment I was staying in was located right in the heart of the Brera Area. As a bonus, right around the corner from the apartment was a weekend market with stands and stalls full of antiques, vintage handbags and more. This gem of a corner was just around the block from my Pontaccio apartment! Since you’re living like a local – you might as well enjoy the local service of “Deliveroo”. While many of the options are only in Italian, you can easily use google translate to figure out what to order and worst case scenario – you’re in Italy! You can’t go wrong with a pizza. This service was perfect for the night where it poured in Milan and (like a local) who wants to go out for dinner in the rain? Pizza, for two, delivered right to our apartment! Did you know that Venice isn’t the only city in Italy with canals? The Navigli District in Milan is where locals and tourists alike come to stroll along the canals of Milan. 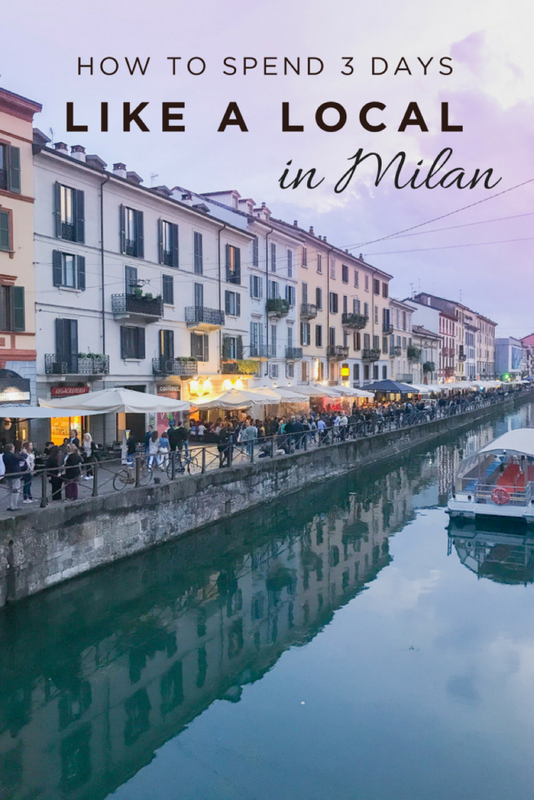 I highly suggest making your way to the Navigli District during a trip to Milan and as a bonus I’d suggest waiting for sunset and watching the skies turn pink over the picturesque scenery. Venice? Nope! This is right in Milan. 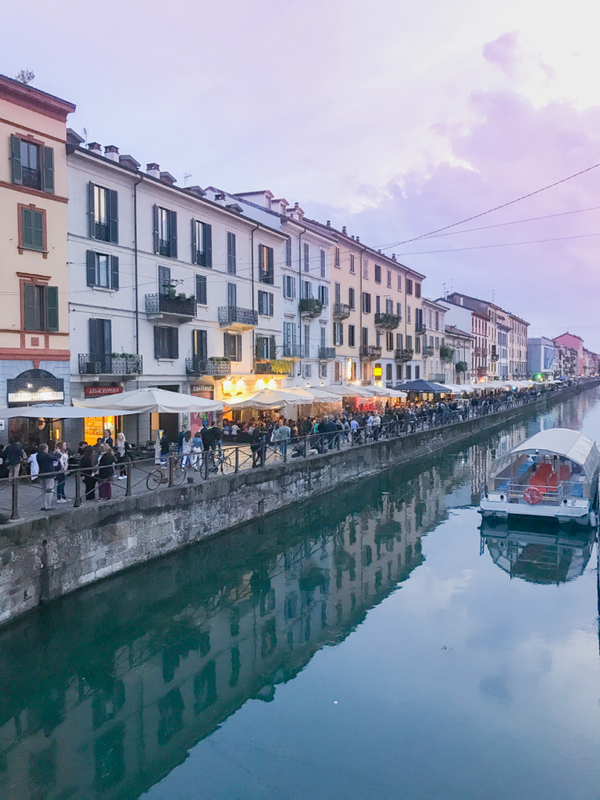 #PinkHour over the canals is something super special – don’t forget to sit and wait for the sun to go down in the Navigli District! The walk to the Navigli District from the apartment I was staying at took me past the Duomo mid-day. It was AMAZING to see how packed the area was when just a few hours ago I had the place all to myself (with the exception of a few pigeons, of course). It’s almost unbelievable that just a few hours prior to this I was practically all alone in the Duomo Square! 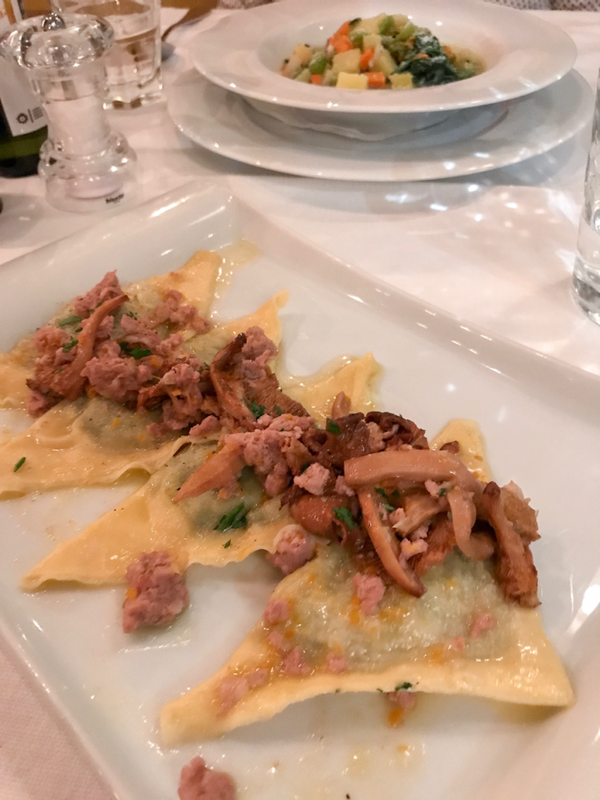 Olmetto is the restaurant that operates along with the Brera Apartments and had I not been staying with Brera Apartments – there’s a strong change I wouldn’t have ever found this gem of a restaurant! The quaint vibes, paired with perfect service and dishes that make your taste-buds sing show tunes are icing on top of a delicious cake! How perfect is the décor at Olmetto? The spinach and cheese stuffed ravioli I indulged in – topped with sausage crumble and mushrooms was to die for. For me, the main purpose of renting an apartment as opposed to staying at a hotel is to feel at home. Ensuring I have extra time to take care of myself, especially during long travels, and finding time to relax and recharge is vital to long-travel survival. Wake up late, go to bed early and ensure that you’re health and happiness are a priority – the same way a local would! Enjoying my morning coffee from bed as I checked up on some emails. A healthy work-travel-life balance is essential! 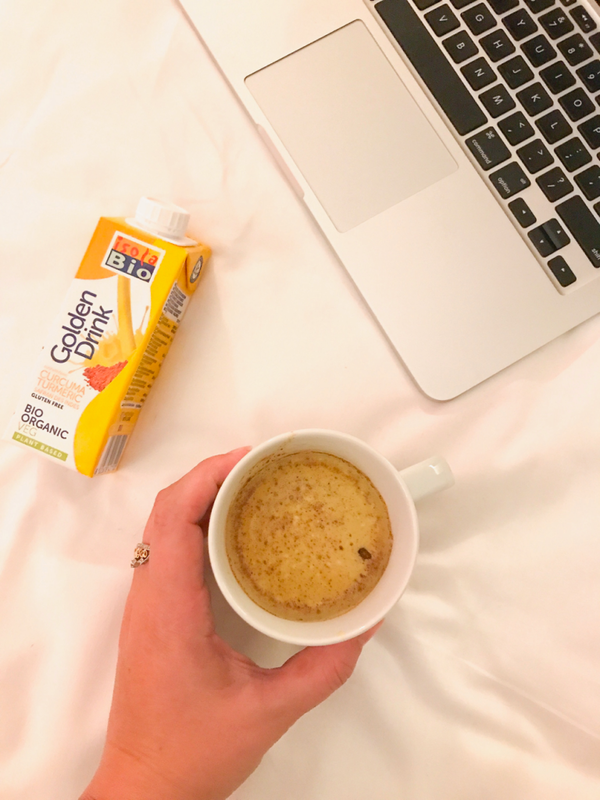 Golden milk is a turmeric-blend of nut-based milk that is known for its anti-inflammatory properties and aids with arthritis, skin health, and immunity (amongst many other things!) During my time roaming around Milan I found a bio-market (bio is the term for ‘organic’ in Europe) that sold pre-mixed golden milk! I bought a bit of cinnamon to top it with. Health is wealth – especially when traveling. There’s no “right” or “wrong” way to explore a city but if you truly want to enjoy a city – the best way to do so is the way the locals do. 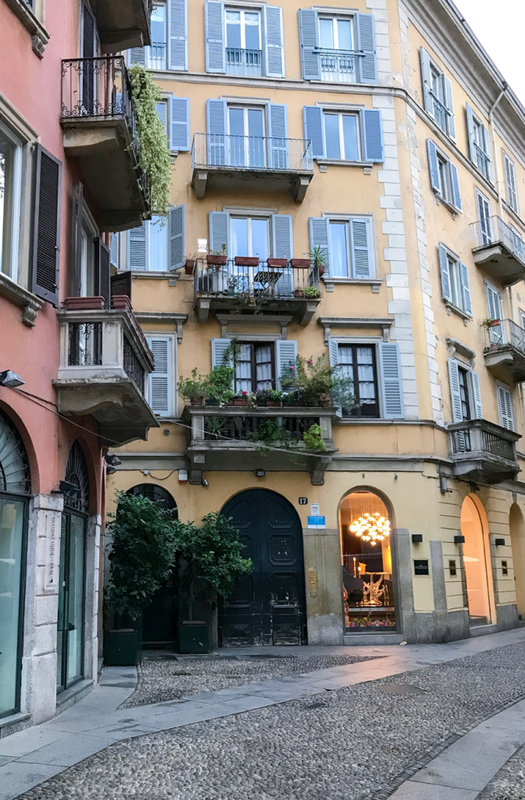 Staying at Brera Apartments gave me an insight to the city that I didn’t have on my two prior trips to the city of Milan. It didn’t hurt that the apartment was super stylish, cozy and also huge – even by American standards! I can’t suggest the convenience and comfort of Brera Apartments for your next stay in Milan enough! *Disclaimer: I was hosted by Brera Apartments as a guest in Milan. My opinions, as always, remain my own. I think you’d OBSESS over the Brera area, it was everything we love about Italy and then some. Same as you, my experiences were a bit short and quick as I had always been in Milan based off of a stopover. 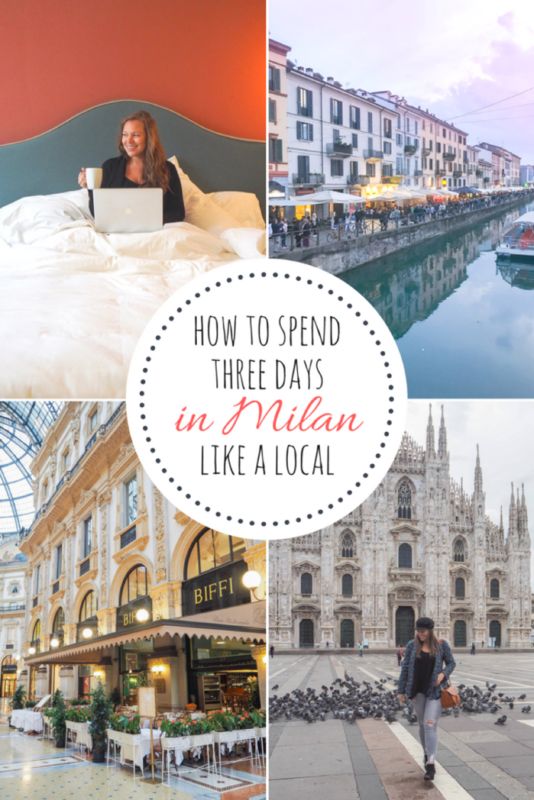 This trip opened my eyes to a whole new side of Milan I had never known existed – the Navigli district was GORGEOUS, also, and prior to this trip – I didn’t even know it existed. 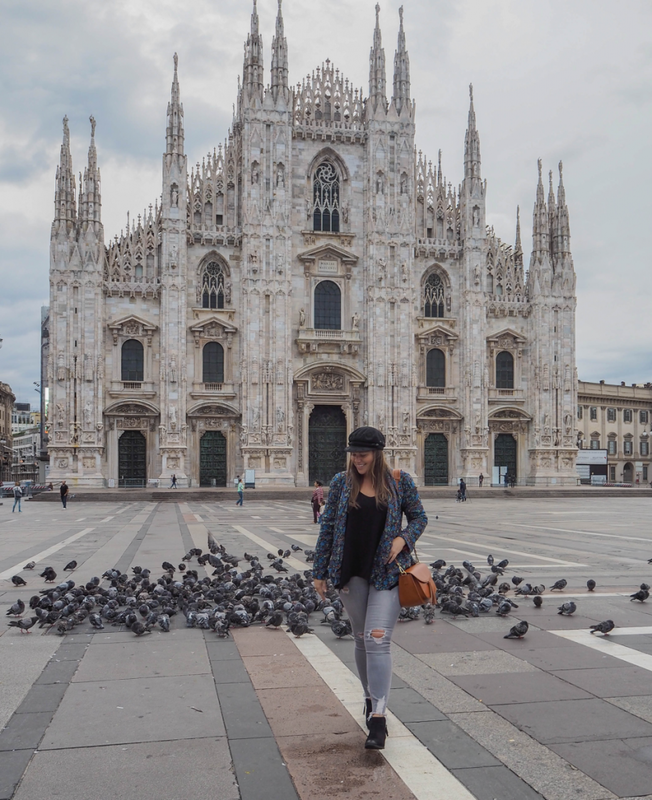 I’d definitely give Milan another shot if I were you, maybe even if just for a few days before exploring the rest of the country after finding really cheap flights again LOL. I love Italy! I haven’t been to Milan yet so will definitely save this post for when I do. It looks like a beautiful city. And the spinach and cheese stuffed ravioli looks soooo good, Italian food is my favourite!! Italian food is my favorite, also! Olmetto outdid themselves, for sure, that ravioli was delicious! What perfect timing, hubs and I are off to MIlan just before Xmas and we cannot wait to follow in your footsteps Milan looks like everything we have dreamed of for many years. Great tips, great pictures and I really enjoyed this article. oh-mi-gosh! So jealous that you get to explore Milan during Christmas! I bet it’s beautiful during the Christmas markets and all decorated for the season. Please tag me in your photos during that time, I’d love to see! Even though I live in Italy I’ve never been to Milan! I’m finally going next month and this post is so helpful! I’m going to be on the lookout for that golden drink from now on too! Totally look out for the golden milk! It can be found super easily in the bio-markets in Italy. I’m so happy to have assisted with your trip to Milan and can’t wait to hear all about it!! Make sure to explore the Brera area, it was hands down my favorite. Haha, I totally agree! I love the sweets, but not all the time! Can’t hurt to have a healthy balance. Living in Sicily sounds like a dream!!!! Haha, I’m glad I’m not the only one who finds it funny that so many tourists flood places I had to myself just a few hours prior! Looks like an amazing time! I love going to markets whenever I go to a new city! Wow what a relaxing few days in Milan. I love the idea of the concierge at the apartments and they look so nice! I am planning a trip to Milan next year so these apartments would be perfect!! I can’t suggest Brera Apartments for your trip in Milan! This is a great guide. I totally would’ve screwed up at the market and tried to bag my own produce I’m sure. I’ll keep that in mind when I’m in Italy. Thanks so much! It was such a small detail I would’ve never thought of! Fun story: the little corner of via Madonnina that you photographed (in Brera district) is actually the entry of my friend’s home! 😀 A beautiful apartment indeed! The world is so small! Hope you enjoyed our busy city and btw you totally catch the local “vibe” with the “catch up with some work” paragraph. Cause here we ALWAYS work. 😀 Happy Travels Jackie!! omg! Your friends home is my favorite building in the area!! The world totally gets smaller and smaller. Are you based in Milan?! Happy travels to you, as well! My husband and I also stayed in the Brera Apartments for the month of July. We fell in love with the city and used the apartment as a home base. The Brera Museum is outstanding and really one of my favorites. We would stay in Milan then when we wanted to get out of town take the train go to Florence. We went to Venice, Lake Como all in our own schedule. It was fabulous. Don’t you just love he ease of train travel in Italy? I, too, went to Lake Como, Venice and Florence all on my own schedule. I’m glad you liked the Brera Apartments as much as I did! !